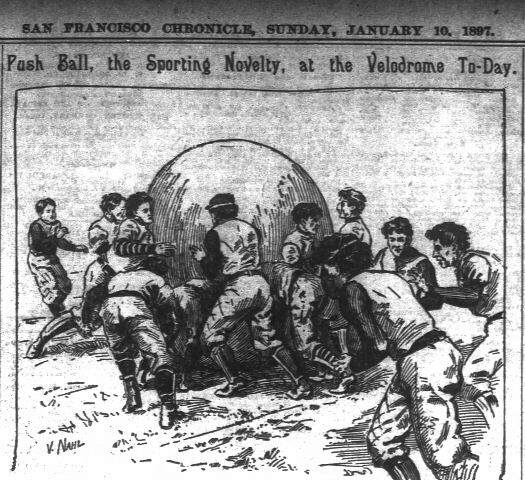 It appears Push Ball was the next big thing…maybe the first extreme sport! The shere was 6 feet in diameter. The two teams push the ball around, against each other. It is unclear if they are heading for a goal or just pushed it around. Perhaps it was like tug o’ war only with a ball. Whoevers team mate get rolled over, lose? 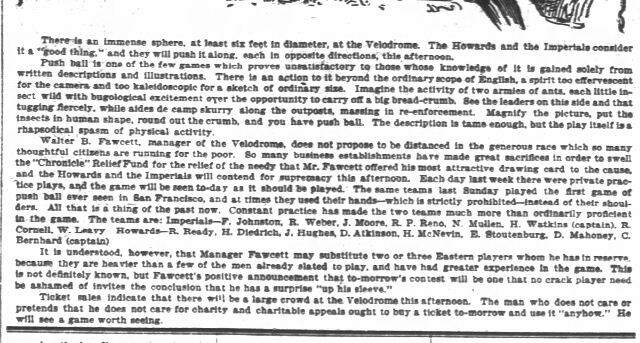 LOL The author of the articles does gives much for the fans to look forward with his description of push ball: “the play itself is a rhapsodial spasm of physical activity”. I don’t think it’s any wonder that we are not playing push ball today.